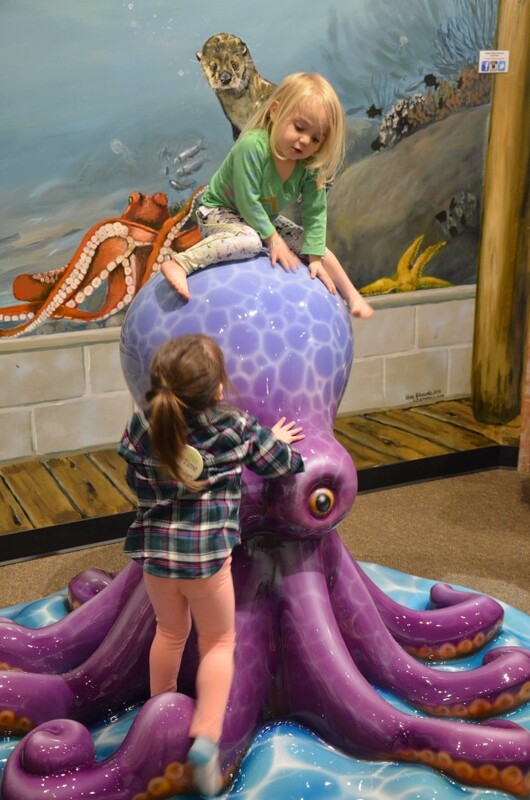 Children three years and younger love climbing and sliding on or crawling through colorful sea creatures like an orca, sea lion and octopus. 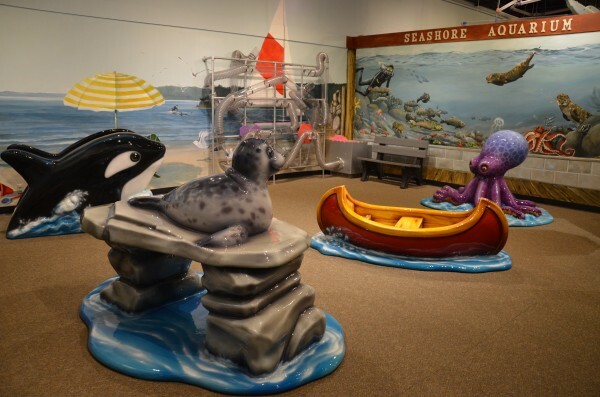 A Northwest coastal mural and exhibit pieces help children identify local wildlife while they play. 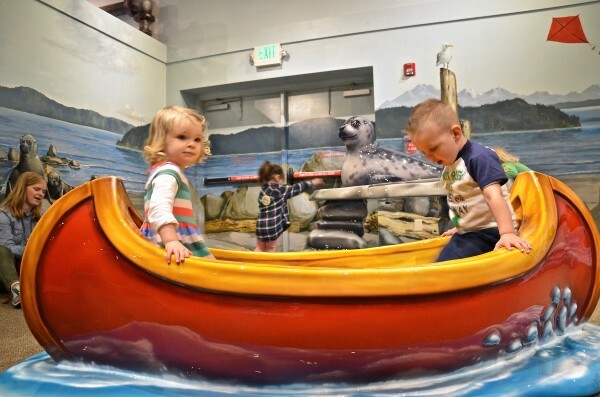 The early childhood exhibit is a safe and playful area for Imagine’s littlest visitors! Power of Play: This early childhood play area builds foundational social, motor and thinking skills for young children up to three years old. The secure area keeps our youngest visitors safe and makes it easier for caregivers to play too. Playful Tip: Ask your little one to find a seal, a whale and other local wildlife on the mural. Get down on your child’s level and play!